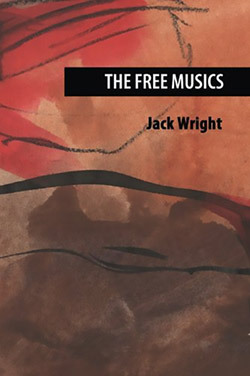 Free improvising sax legend Jack Wright's book explores the origins of free music in New York in the 60s, tracing it across North America through the 70s to modern times, then taking the movement across the ocean to explore the networks and relationships of free player. 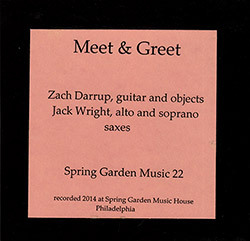 Interactive free improvisation on sax and guitar from Jack Wright on alto and soprano, and Zachary Darrup on electric guitar, a mix of intensely technical work alongside strange and even aberrant voicings from both instruments, a great balance of exuberant and thoughtful playing. 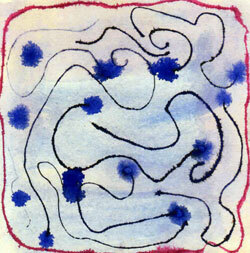 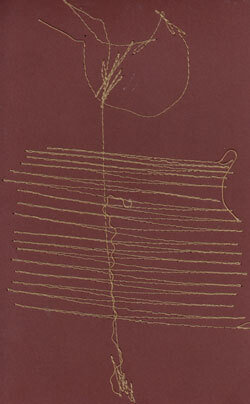 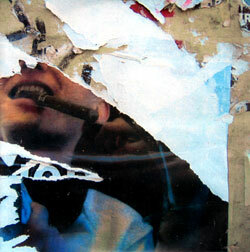 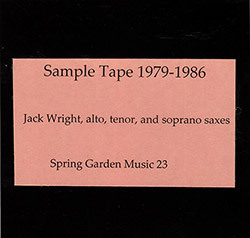 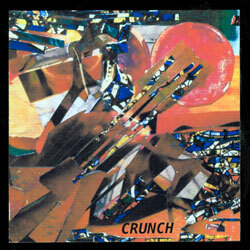 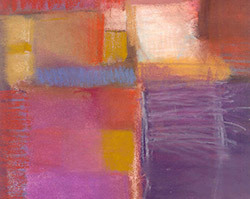 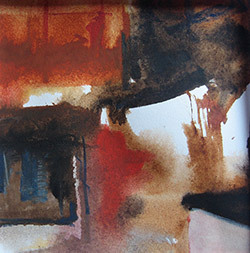 In the 80s sasxophonist Jack Wright used his "Sample Tape" as a way of communicating his own personal views and preferences in his playing to others; this release updates that calling card with new, edited, and improved works, as he digs through his extensive recording archives. 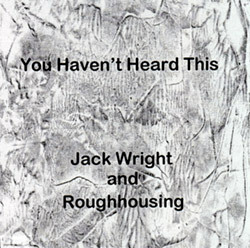 12 improvisations representing various groupings with saxophonist Jack Wright, including solo work on alto and soprano, a duo with trombonist Stan Nishamura, six trios with 2 different groups, and a sextet; a great introduction to his diverse interests and exploratory nature. 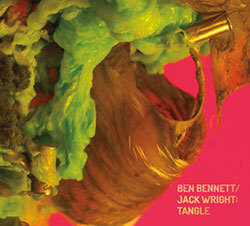 Legendary free improvising saxophonist Jack Wright in a duo with new generation free improvising drummer Ben Bennett, both part of the touring band Wrest Trio, in an album of interactive interchanges informed by unusual technique and masterful playing. 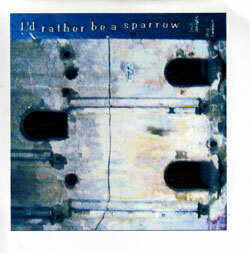 Recording the first meeting of vocalist Carol Genetti, amplified snare drummer Jon Mueller, and saxophonist Jack Wright, performing at the Spare Room in Chicago, 2004, for two large, subtle, and rich improvisations in a uniquely voiced dialog. 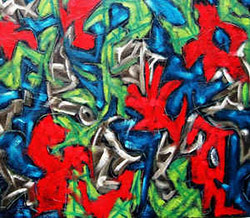 The free improvising quartet of Jack Wright on alto and soprano sax with three electronic artists--Andrea Pensado, Stephanie Lak, and Walter Wright--recording in the studio in Philadelphia PA for two extended pieces of unusual character and dynamic. 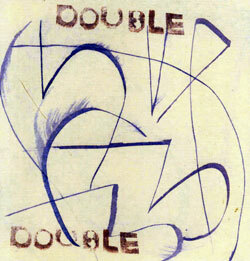 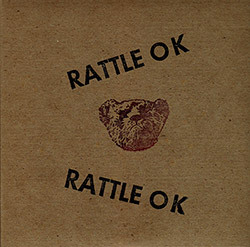 Concert recordings from live performances at Dickenson College in Carlisle, PA in 2009 and again in 2010 from saxophonist Jack Wright and drummer Johan Nystrom, both using extended and unusual techniques in a beautifully paced album of subtle and surprising free improvisation. 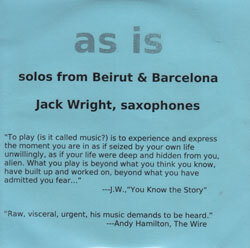 Free improvising saxophone legend Jack Wright performing solo in April 2006 at the Irtijal Festival in Beirut and at performance space Saladestar in Barcelona a week later, showing his command over the instrument and distinctive approach as an improviser. 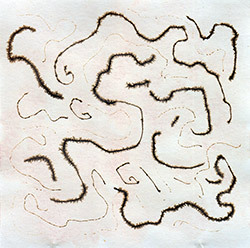 Electronics artist Bob Falesch in a duo with saxophonist Jack Wright, both using idiosyncratic approaches to their instruments for unexpected and often startling results, a unique album of unusual electroacoustic improvisation.